Texan Girl Talks: Hello college football, welcome back! Y'all nothing speaks to me more than the start of college football again. Really any football game. There's something about this time of year that just makes me feel happy. Fall is on it's way back and i'm ready for scarves and boots again. Well I do live in Charleston.. so maybe not for a month... but it's coming. Also, it's not fall until the pumpkin spice latte makes it's appearance! Let the Pumpkin craze begin! For those of you who don't know. I'm a huge Texas A&M fan. I'm from College Station, TX, where Texas A&M is located. While I didn't attend school there, living in the town for 20 years makes me an honorary Aggie and a proud one at that. Before every game we do whats called "Midnight Yell". This is a tradition where our yell leaders (our own version of cheer leaders, who are men--another tradition), get the Aggies all fired up about the game the next day. Apparently our yell practice happened at the statehouse in South Carolina in Columbia last night, if you're wondering what it's all about, you can see it here! 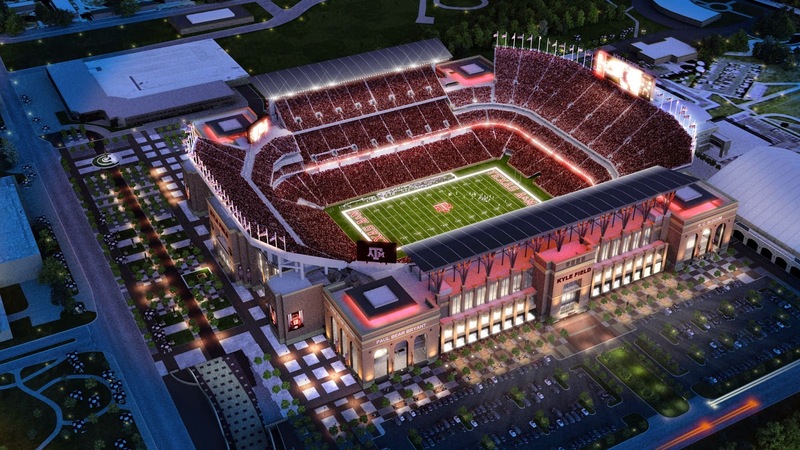 I have to brag we just revamped our stadium, Kyle field back in College Station. I'm excited to go home and see it. Apparently you'll be able to see the jumbo-tron from 2 miles up the road from where I used to live. Crazy. Since moving to Charleston, I get very homesick when game days are here. I just know back home our whole town is buzzing around with anticipation for the great game. It's ok, I made Turkey chili to help with my homesickness! I'm sure this is going to be a great game, no matter the outcome! I have to say some of the best recipes, I've ever made are the ones where I just threw some ingredients together. My Turkey Chili is one of these recipes and it's not that bad for you. The best part of any chili is you can add and omit any of the ingredients to make it your own. First I like to brown my turkey meat and set aside. Dice up bell pepper and onion, sauté until soft, then combine with browned ground turkey meat. Combine all ingredients in large pot and let get warm and fill your house will all kinds of good smells. I top with sharp cheddar cheese and Late July Chips Multigrain chips. 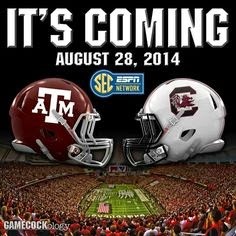 I hope everyone is getting super excited for college football, it officially starts this weekend!!! WHOOP!! Any favorite game day foods?